“Eat more fibre”. We hear this advice all the time, but really, why is this one of the best things you can do for your health? Dietary fibre is more than ‘roughage’ – it is a group of carbohydrates, all of which are not easily digested by our body. Our enzymes cannot break them down, so these carbohydrates pass through the small intestine, largely unchanged. Contributing to regular bowel movements. What’s more, these benefits can translate into helping to maintain a healthy weight and lowering your risk of diabetes, heart disease and bowel cancer. You will find fibre in plant foods, such as whole grain cereals, fruits, vegetables, nuts and legumes. Eating a broad range of these foods in plentiful amounts is the best way to ensure you get enough overall fibre and a good range of different fibre types. Australia’s peak health authority, the National Health and Medical Research Council has advised that men need 30 grams of fibre per day and women require 25 grams per day. The average Australian adult falls short of this, eating only 23 grams per day, and also lacks fibre diversity in their diet. That means we don’t eat enough of the different kinds of fibre. Swap processed snacks with fibre-rich alternatives; try incorporating whole grains, legumes, fruit and/or veggies. Check nutrition labels on packaged foods – a food with at least 3 grams of fibre per serve is a good source of fibre. What are the types of fibre? There are three main types of fibre – insoluble fibre, soluble fibre and resistant starch. Most of the starch we eat is easily digested and absorbed by the body – but there are some forms of starch that are resistant to digestion and pass through to the large intestine. Once there, the resistant starch is broken down and fermented by bacteria. producing compounds called short-chain fatty acids, which promote intestinal health. Find resistant starch in barley, oats, cooked and then cooled rice and potatoes, legumes and green bananas. This fibre dissolves in water, forming a gel-like substance, which can bypass digestion in the small bowel. Good gut bacteria can then easily ferment some of those soluble fibres and boost gut bacteria populations. Once soluble fibre forms this viscous gel, it also slows down the digestion of the starch and sugars eaten in the same meal. As a result, this slows down the absorption of sugars into the blood stream, helping to blunt the rise in blood sugar levels. What’s more, soluble fibre binds to cholesterol in the bowel, flushing it out of the body and helping to lower harmful cholesterol in the blood. Find soluble fibre in barley, oats, legumes, vegetables and fruits. This is the fibre we know as ‘roughage’; the fibre that is not broken down in the gut. As the insoluble fibre passes through the large bowl, it absorbs water, both increasing the bulk of the stool and making it softer. In other words, it helps keep you regular. Find insoluble fibre in whole grain cereal foods, wheat bran and vegetables. The best reason to eat more fibre is for the fermentation that occurs in your gut. This is different from eating fermented foods – in this case, the fermentation occurs inside the body as you give your good gut bacteria ‘food’ to grow, in turn reducing the harmful gut bacteria. This ‘food’ is the fibre that your gut ferments, encouraging the growth of good gut bacteria. These are also known as prebiotics. 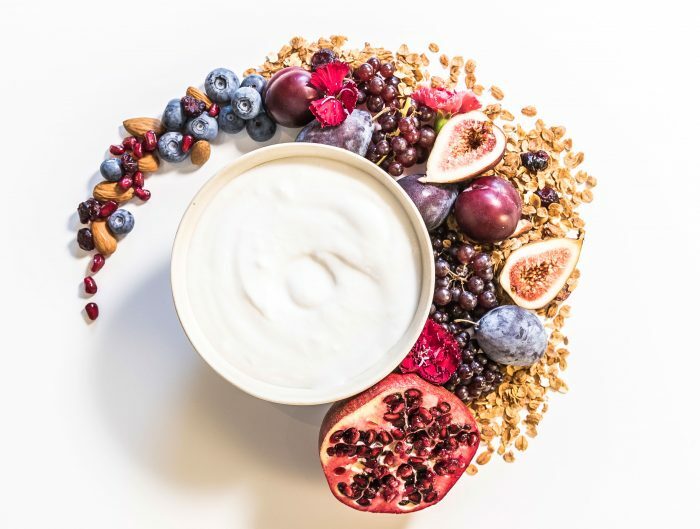 By fuelling these gut bacteria with prebiotics (resistant starch acts as a prebiotic fibre), nutrients are created that contribute to the health of the lining of the gut, boosting immune function. Of course, too much of a good thing can have side effects – eating too many foods high in fermentable fibre too quickly can result in a lot of fermentation, and perhaps a little more flatus and abdominal distension than you may be used to, at first!!! 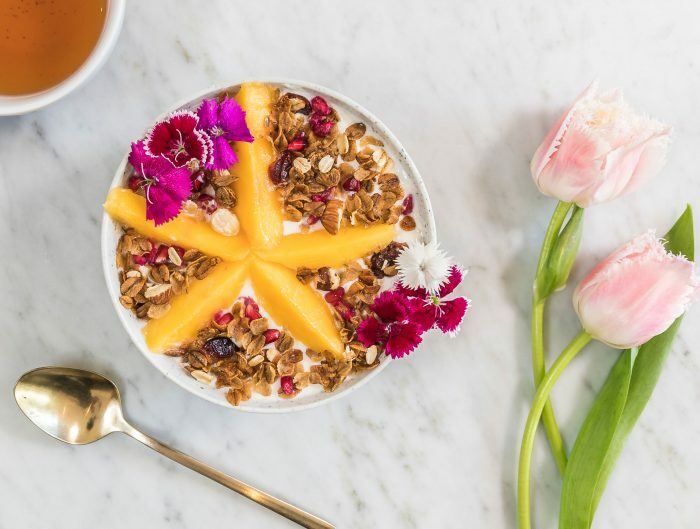 However, by slowly increasing the amount of foods high in fibre in your diet, you’ll find this settles down in a few weeks as your body adapts. The important thing is not to give up on these important fibre types, and to give your gut the opportunity to get used to them all and then reap the benefits. The above blog was written by Tim Crowe. For more information on how to achieve a healthy gut, see the 28 Day Reboot Challenge.